As we speed past midterms for Fall semester 2017, I thought I would share a reflection regarding how I’m applying the Mater Teacher Program (MTP) competency-based professional development model of KNOW, DO, SHARE to my own teaching. KNOW: At the beginning of the semester, I asked myself: How can I increase student engagement in my College 101 course? 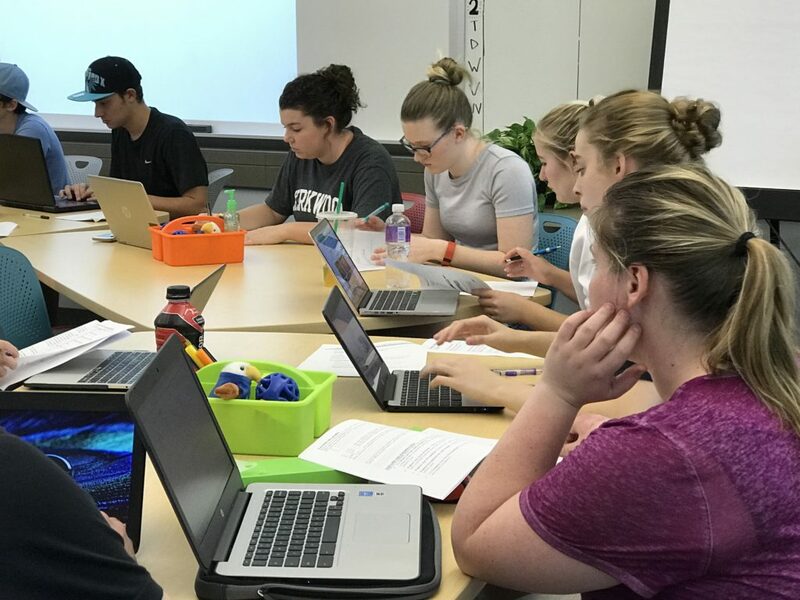 This question aligns well with the Kirkwood faculty competency #4, instructional strategies: faculty can integrate instructional strategies that encourage students’ development of critical thinking, problem solving and performance skills. I felt like I needed a refresher on what quality engagement looks like, and found this Faculty Focus article to guide my thinking. Do: I have tried to weave in more discussion regarding current events and to align class activities with the General Education course outcome “students will think logically and critically.” I know that this is an area of growth for me. There is a large unit on critical thinking and time already spent on logical fallacies in College 101, but I wanted to take it to the next level in the form of debates. Does the First Amendment to the U.S. Constitution protect only freedom of speech, or does it also protect freedom of expression? Some people have suggested that the National Football League should implement a policy mandating players to stand during the Anthem. 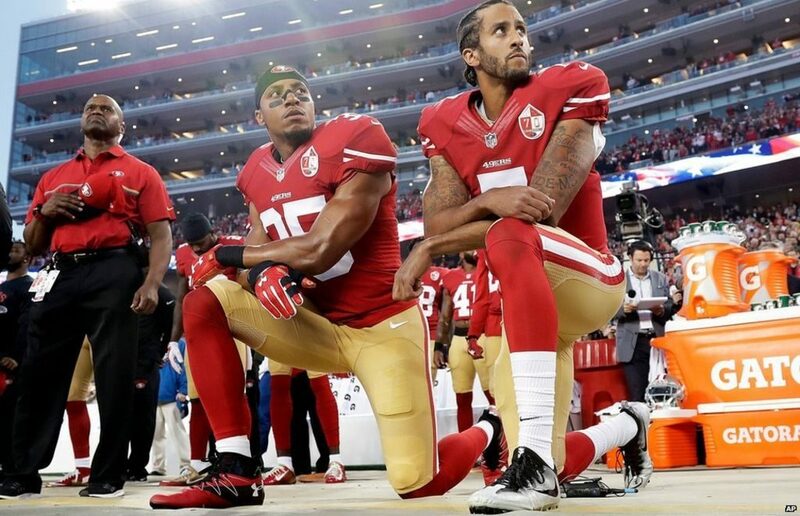 Even though private organizations have the ability to implement these rules, should professional sports leagues require players to stand during the national anthem? So how did it go? What was the effect on student learning? Initially I was worried that I might “lose control of the class” but I was happily surprised to find that everyone was able to communicate their ideas appropriately. I was also surprised that many students were eager to discuss this topic and were aware of free agent Colin Kaepernick and other topics related to the issues. They were excited, engaged, and some talked about current events related to the First Amendment days after the activity was over. 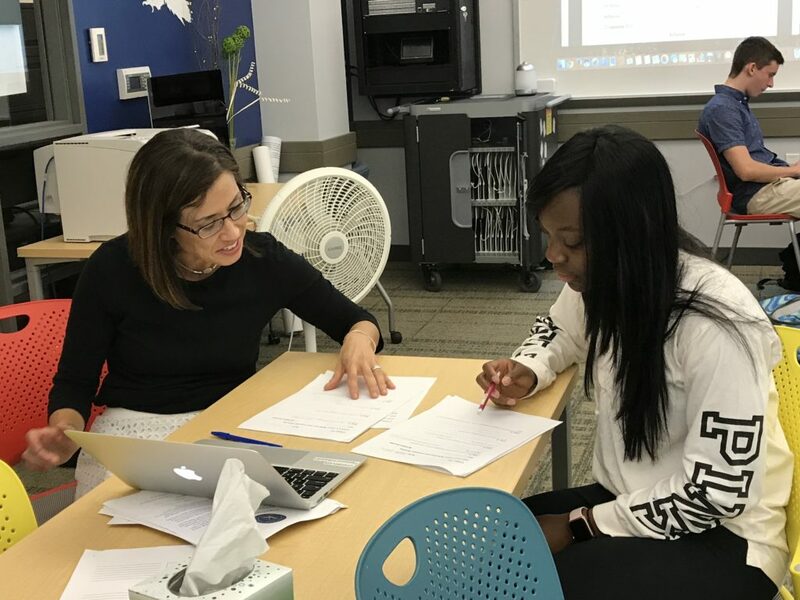 They also connected on a different level with their classmates – one that could not be achieved with an abstract activity on logical fallacies. I also think the success of this activity was due in part to the fact the we have a set of classroom norms that were established early on. Before the first debate, we revisited these norms as a class. Next steps: Debating current events has proven to be a great activity that I am weaving into the entire semester. The media certainly affords us no shortage of content! I also plan to conduct a poll so that students can generate the topics up for debate. In this way, I am giving students the power to co-create the class experience with me. SHARE: I am sharing this reflection with others so that I can chronicle my own growth and to inspire other faculty to share what they are doing with others. I love the idea of debating things happening in the news. As much as we think students are aware of these things, often they are not. So, having a forum to learn about the news and openly and freely discuss their own opinions is wonderful! I have students choose an article once a week and bring it in to discuss in small groups. We call this Reading Seminar. They love being able to choose topics that interest them as well as have time to discuss with classmates. Sara, I love the approach of having students bring articles each week. What a great way to give them some co-creating power! I really like this idea! I am going to tailor this into a discussion I can use with my students pertaining to the collision industry and the development of cars that can drive themselves. Hopefully I get the same results. Brian, I love the idea of using debate related to the future of the collision industry and self-driving cars. Let us know how it goes! We also mentioned this topic in my Mass Media course. At the beginning of class I will ask if anyone has seen or read anything in the media in the last couple of days that they would like to discuss. This promotes utilizing their media literacy skills throughout the semester and the current events make these topics more relatable. The ‘taking a knee’ topic had severals layers to it. This would have worked better in my class to discuss in a small group first. I felt that some students didn’t want to express their opinion with the entire class. I like the idea of conducting a poll to see what topics the students would rather debate. The teams stay together for 4-5 weeks and then I create new ones. I’ve found that this builds a sense of both camaraderie and friendly competition, and everyone has a place to sit in the room, and folks to chat with. Just food for thought. Thank you for sharing this! One of my goals for Mass Media this semester has also been to increase student engagement. I’ve never had a more un-engaged group than I do with this particular class so this semester has been a struggle. I really like the idea of incorporating debate into the classroom. We are currently studying Public Relations so the debate piece would work well during our discussion of PR crises. Again, thank you for sharing your reflection. It sparked a few ideas for ways I could incorporate an activity similar to this in my own classes. Sarah, I totally understand what you mean by lack of engagement. The Faculty Focus article that I linked in my blog post references the importance of tapping into student interest. Hence, the mass media and current events has proved to be a dynamic pipeline for content. If I can assist you in designing a debate for use in your class, let me know. This is a great and efficient student engagement strategy. In addition to giving students the power to co-create the class experience with you, you promoted the public speaking skills in them and making them better future communicators. Many adults did find such a chance when they were students and they developed social anxiety delivering public speech. I love the idea and I am going to embrace it in my classes. I’m glad you liked the idea, Mohammed. In light of the shooting in Las Vegas we also discussed gun control and the second amendment. Fascinating! I do hope you try debates in your classes. Please let me know if I can assist in any way. I really like this idea too. I do like to keep up with current events in my field, and I typically share them with the class, but I really like the idea of opening it up to the class to co-create the topics to talk about or learn about. Yes! There are so many interesting current topics related to agriculture in general. Just an idea for debate: Is hydroponic production organic? The debate over hydroponics reveals the big question about the term organic: Is it meant to refer to the practice of sustainable agriculture, or is it meant simply to refer to food products that are free of harmful chemicals?